Amnesty International has reiterated its commitment to continue to denounce the ‘unjustifiable’ detention of the Catalan pro-independence civic leaders, Jordi Cuixart and Jordi Sànchez, in what it considers an ‘excessive and disproportionate measure that violates the rights of freedom of expression and assembly’. 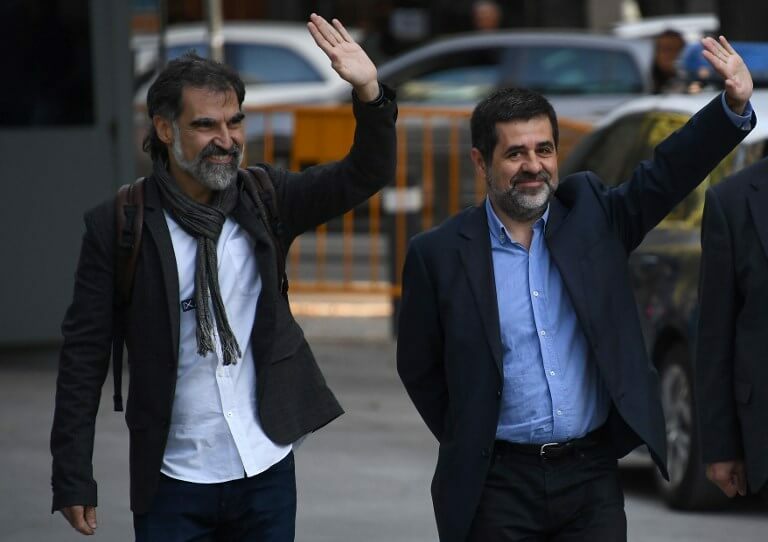 In a letter sent by Fotis Filippou, the campaigns director of Amnesty’s Europe office to Cuixart and Sànchez – both in Lledoners prison awaiting trial – it also states Amnesty will ‘monitor these [trial hearings] to assess whether fair trial guarantees are fulfilled’. The letter is signed by Fotis Filippou, as well as by Esteban Beltrán and Adriana Ribas, responsible for Amnesty in Spain and Catalonia, respectively. ‘We will continue to denounce [it] until you are released and the charges of rebellion and sedition are withdrawn,’ it adds. ‘Amnesty International believes their continued detention constitutes a disproportionate restriction on their rights to free speech and peaceful assembly,’ the statement added. In fact, Amnesty International believes that the Spanish authorities could only prosecute them for ‘a public order offence’ for allegedly attempting to prevent police from carrying out their raids against the referendum logistics on 20 September 2017. Amnesty commits to ‘keep undertaking actions’ from their offices in Barcelona, Madrid and London to support Sànchez and Cuixart.